If you are thinking about bringing a claim for discrimination and/or harassment, it is important that you understand the time limits (statute of limitations), the procedural requirements, what it takes to make a claim for discrimination or harassment, and what the process will look like for you. While the time limits (called statute of limitations) for most civil actions are three years or more, there is a 300 day statute of limitations for harassment or discrimination lawsuits in Massachusetts, whether brought under state or federal law. 300 days is approximately 10 months, and the time begins to run when the discriminatory act occurs. Unfortunately, except in the case of a termination, it is not always clear when the triggering act occurred, as many situations in the workplace play out over time and multiple events. If you believe you have been discriminated against or sexually harassed, it is important to see an employment lawyer as soon as possible, to avoid the risk of losing your right to seek a remedy. 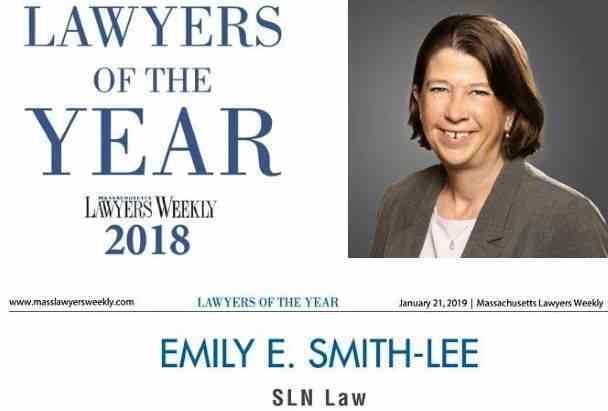 ​All discrimination and discrimination-related claims (including retaliation and harassment claims) must be brought first in either the Massachusetts Commission Against Discrimination ("MCAD") or its federal equivalent, the Equal Employment Opportunity Commission (“EEOC”). In the MCAD, you have the choice of pursuing the claim fully through that agency, or withdrawing the claim after 90 days and filing in state or federal court. All you need to do to preserve your rights under the 300 day statute of limitations is file with one of these two agencies- once you have withdrawn from the MCAD, you have a full three years from the date of the discrimination, retaliation or harassment to file a lawsuit in court. For this reason, it is important that you consult with an employment lawyer as soon as possible. Discrimination and retaliation claims follow what the courts call a “burden shifting framework.” This means that it is initially your burden to make a “prima facie case.” This is not a high burden: it simply involves establishing that you are in a protected class (race, gender, pregnancy, religion, ethnicity, sexual orientation, etc.) or engaged in protected activity (i.e., complaining about discrimination or harassment) and that an adverse employment action was taken against you. The burden then shifts to your employer to show a legitimate, non-discriminatory reason for the action. A history of comments or actions by the decision-makers that demonstrate bias or stereotypical assumptions. The things you must prove in a harassment lawsuit are a little different from a discrimination or retaliation case, because what is actionable is the harassment itself, not just the specific employment action (like termination). You will have to prove either “quid pro quo” or “hostile work environment,” as discussed here. There is also an additional potential avenue of relief called “constructive discharge.” If, in addition the elements of the underlying claim, you can prove that the harassment was so severe and pervasive that a reasonable employee in your situation would feel compelled to resign, your resignation could be treated as a dismissal. This means you might also be eligible to be compensated for lost wages, in addition to compensation for your emotional distress caused by the actual sexual harassment. For most people, this is a new experience, and the only frame of reference they have for what it looks like to be a plaintiff in a civil lawsuit comes from movies, television and books. The reality is a little different- below are answers to some frequently asked questions we hear from clients who are new to this process. How much time do you need to commit to the lawsuit? if a case does not settle early, the process can last a long time- sometimes a year or two. This does not mean you are constantly on call until the lawsuit is finished. You will need to work with your attorney at the beginning to make sure they have all the relevant facts and to decide with them what claims to pursue. You will need to be available later in the process, in discovery, to help your attorney gather all of the relevant facts and documents you have, and to answer questions from the other side in deposition. If the case goes to trial, you will need to be available for the trial itself. Also, as the case moves forward, you are the decision-maker when it comes to settlement, and your attorney should be in regular contact with you as settlement discussions proceed. Other than this, on a day to day and week to week basis you can expect your attorney to be handling the things that need to be handled. How much can I expect to recover? This is a really important question to discuss, and continue discussing, with your lawyer throughout the process. Generally in employment cases there are three kinds of damages you might recover at trial: (i) your lost wages and compensation as a result of the employer's actions; (ii) damages (if applicable) for your emotional distress as a result of the employer's actions; and (iii) reimbursement for your costs and attorneys' fees in bringing the action. Under some circumstances, punitive damages may be available as well. Your lost wages and compensation will be subject to offset by things like unemployment benefits and wages from a new job you take after termination. The law also requires you to attempt to mitigate damages- this means you have to make good faith efforts to find new employment if you are terminated, and a court may reduce your damages award if it finds you did not try to do so. What is discovery? "Discovery" is the process by which the parties to a lawsuit gather the information that is relevant to the claims and defenses. Our system favors full information, so the scope of discovery an be quite broad. As a plaintiff, your attorneys will be asking the other side for a wide range of documents relating to your employment, their policies and practices relevant too a discrimination or harassment claim, prior related claims against the company, and other information that will help you prove the things you need to prove. The defendant will likely ask you for documents and information about your employment history, your medical and mental health history if you are making a claim for emotional distress damages, your communications with others about the issues in the lawsuit, and your effort to find work after your termination if it is a termination or constructive discharge case. These questions can feel intrusive, but they are generally topics the defendant is allowed to explore so that they have the information to prepare their defenses. If you have concerns about anything the other side is asking, you should discuss those concerns as early as possible with your attorney, so that they can evaluate whether the rules truly do require disclosure of the information you are concerned about. You can expect your attorney to handle most of the work associated with discovery, but you will need to help by providing the documents and information to your attorney. How often should I hear from my lawyer? Any time you have questions or concerns, you should be able to reach your lawyer or someone on their team. You also have a right to expect to hear from your lawyer any time there is a development in the case, a settlement offer, or anything else that you as the client should know about. We find it helpful, however, for clients to understand that there are sometimes stretches of time in a civil lawsuit in which nothing is happening, so you should not be alarmed if you don't hear from anyone in those periods. For example, after you file the initial complaint in the MCAD or EEOC, it could be a month or longer before the other side files its response. Once a complaint is filed in court, there is a 20 day period (which is often extended) for the defendant to file an answer to the complaint; also whenever your attorney sends out discovery requests there is a lag time before the other side is obligated to respond. Similarly, when motions are filed and opposed, neither side can control how long it takes for the court to take action on a motion. How do I know whether a settlement offer is reasonable? The vast majority (95% or more) of employment cases settle sometime before trial. There are a lot of reasons for this, including that the results at trial are inherently unpredictable for both parties, the time required for you to invest increases as trial gets closer, and both parties generally learn through the discovery process that there are facts which increase or decrease their likelihood of success at trial. For most plaintiffs, at some point a sum certain of money in hand is preferable to taking the chance at trial of getting nothing, or getting far less than what they felt they were entitled to. So settlement means compromise- you will be taking less than you want and your employer will be offering more than they wanted to pay. The real question is how to evaluate the settlement. Your attorney should be able to take the damages you might recover if you won at trial, then have a candid discussion with you about what your chances of recovering that amount are, given the law and the facts as they exist in your case. As a very broad rule of thumb (and not a precise mathematical calculation), a reasonable settlement is informed by the amount you might recover multiplied by your chance of success. If you feel that you are the target of discrimination, harassment, or retaliation and are trying to decide what do do about it, we can help you assess the situation, understand your rights and obligations, and make a plan to solve the problem. You can use the button below to schedule a call back from a member of our team, give us a call at 781-784-2322, or fill out our web form to let us know a little more about your situation.